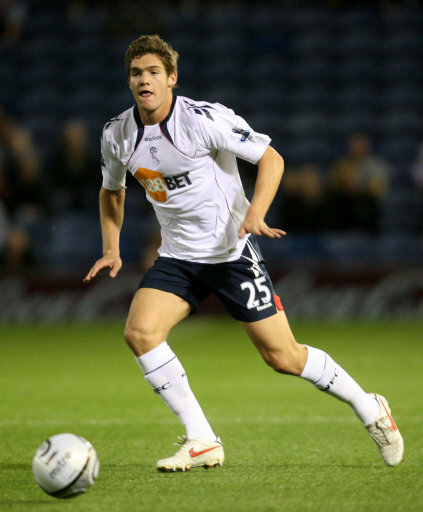 Bolton loanee Marcos Alonso is being investigated by Spanish police after they confirmed that the 20-year-old full-back was involved in a car accident that killed a 22-year-old woman and seriously injured two other passengers after the four had enjoyed a night out together in Madrid the night before. The 22-year-old woman was rushed to hospital with intracranial trauma after being pulled out of the rear seat of the car, but sadly died half-an-hour later. Another young woman suffered a ‘wounded abdomen and thorax’, while the fourth passenger, Real Madrid (Alonso’s parent club) youth-teamer Jaime Navarro, is also being treated for a broken collarbone. “[A Madrid court] has released footballer Marcos Alonso Mendoza [after preliminary investigations], who is suspected of having committed an alleged crime against road safety, driving while over the alcohol limit, a crime of negligent homicide and causing of reckless injury. The Spanish authorities also confirmed that Alonso will be allowed to return to England while a court date is set, and that that process could take up to eight months. “Thorax”? I thought only insects had those.